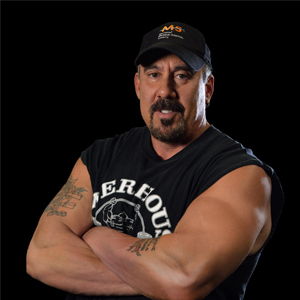 David Lyons, founder of the MS Bodybuilding Challenge and co-founder of the MS Fitness Challenge with wife Kendra, has dedicated his life to helping people with MS understand and be educated on the importance of fitness in their lives. He is the faith based author of David’s Goliath, a book on his journey to a bodybuilding stage with MS; a speaker/writer for the Fellowship of Christian Athletes; writer for Everyday Health, reaching 30 million visitors monthly; owner of the OPTIMALBODY fitness brand; and president/executive producer at Bishop-Lyons Entertainment, one of Hollywood’s top production companies; amongst other endeavors. It is obvious that David does not let MS define him or hinder him on his road to success and living a full life. In 2013 David received the Health Advocate of the Year Award with Lou Ferrigno. And in 2015, at almost 57 years old, he received the first ever Health Advocate Lifetime Achievement Award from Arnold Schwarzenegger as well as the Lifetime Fitness Inspiration Award in Feb 2016, next to bodybuilding legend Mike Quinn at the Global Bodybuilding Organization’s Nubret International Fitness Expo. 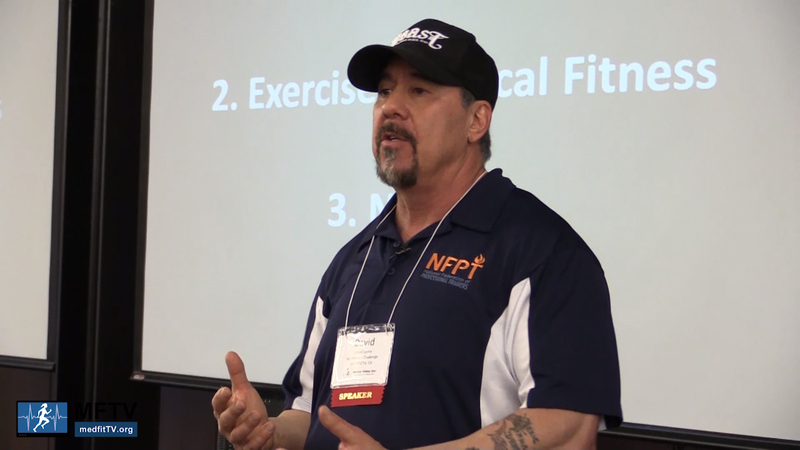 In January, 2017 David received the Special Recognition Award from the National Fitness Hall of Fame and later in the year he was honored as a Founding Partner of the organization’s Institute for learning. David is considered the face of MS and fitness worldwide and his fitness book, Everyday Health & Fitness with Multiple Sclerosis was a #1 New Release on Amazon at its release in February. Lyons has appeared on Good Morning LA, FOX News Orlando and other TV and radio shows nationwide as well as in print media, and Bodybuilding.com has released a feature on him and the MSFC. David recently signed a fitness book deal with international publisher Fair Winds Press with the foreword written by Daymond John who is one of the “Sharks” on the Emmy award winning show Shark Tank and he is endorsed by Arnold. David is a sought after motivational speaker dedicated to helping others by sharing the lessons gained from his life experience.